There are many famous desserts in Pakistani Food Recipes that has tremendous taste. Gulab Jamun is one of them. Milk powder and sugar syrup are two main things in Gulab Jamun Recipe. First, you need to prepare a dough, make small balls out of dough and fry them. After that put those fired balls into prepared sugar syrup. When we think about gulab jamun the first thing came to mind is “yummmmm”. It does not matter from which age group you belong, everyone just loves it. Many people like me think it is difficult to prepare at home because they turn to hard from center. Check the reason and solution why gulab jamun gets hard. Whereas, Gulab Jamuns with milk powder are so easy, you just need an authentic Gulab Jamun Recipe and use accurate quantity of ingredients. So at the end you can get best homemade Gulab Jamun. 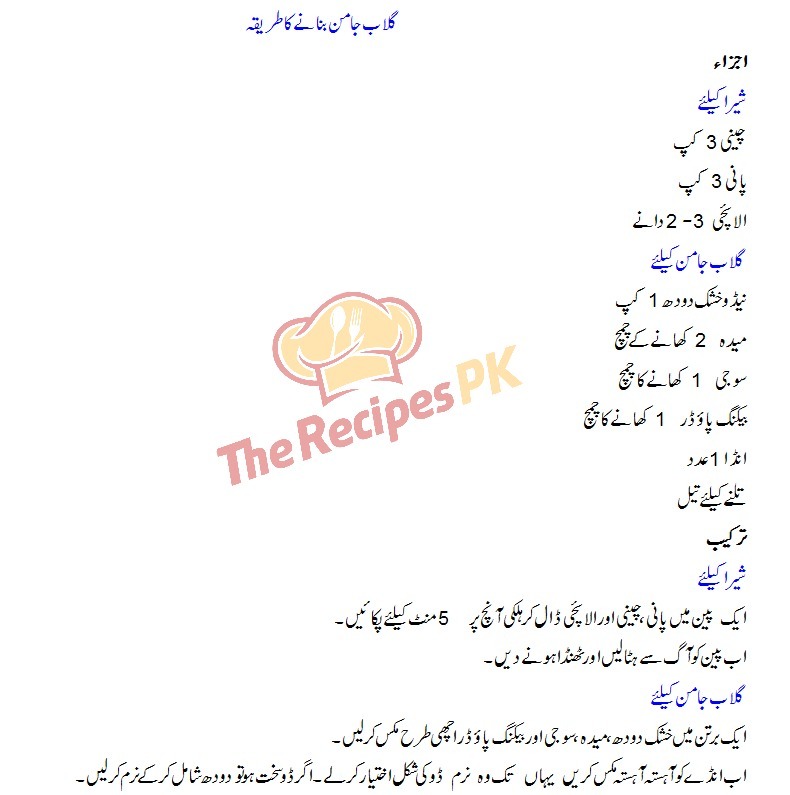 I have tried this recipe of gulab jamun many times and the result is awesome. 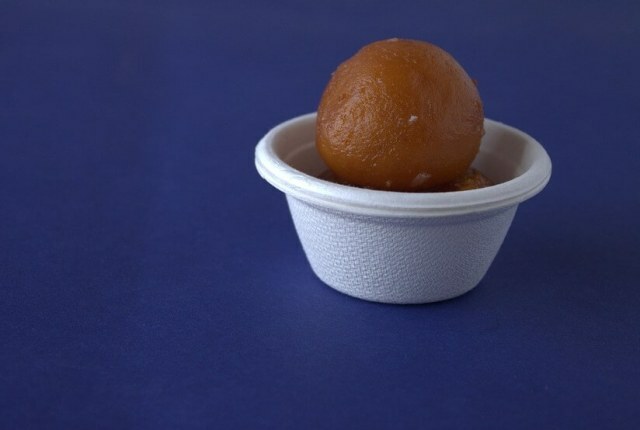 Learn how to make gulab jamun with milk powder. Prepare the delish sweet and enjoy with your family. In a saucepan boil sugar, water and cardamom. When sugar dissolves cook 5 minutes on slow heat. Then remove from heat and let it cool. In a bowl mix dry milk, plain flour, semolina and baking powder. Add egg slowly (don’t add egg at once) and knead in circular motion until it comes together to soft dough. If the dough gets hard add some milk or egg to form soft dough or its much soft then add more milk powder. Grease your hands. Divide dough into small portions and make smooth balls or your desired shape. Heat oil in a deep pan on slow heat until it is warm not hot. Drop balls in warm oil one by one about 6 balls in each batch. Do not try to move the balls from its place. After they rise from the bottom, then slightly navigate it with spatula in order to cook them evenly. It will take about 6 minutes for the each batch to get fully cooked. While frying the size will expand in size. When they are browned on all sides, slowly remove it from oil and transfer immediately in the sheera. When all gulab jamuns transferred in sheera. Put pan on heat and cook on medium slow heat for about 5 minutes. Keep in mind when you transfer gulab jamun in sheera, the sheers should be at room temperature not hot.